If you are digging yourself out hibernation then you have come to the right place! Say hello to spring and goodbye to winter with these projects, ideas & inspirations. 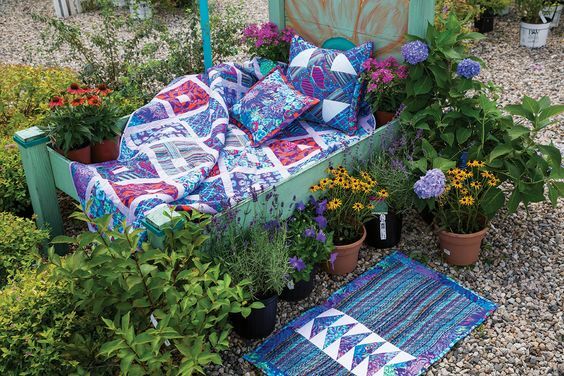 Make a Quilt ~ Farrago Quilt Kit featuring Kaffe Fassett Fabrics – if you have never tried a quilt kit before this could be the one for you! The bright colors and modern design are right on time for Spring & If you are feeling extra productive it has a matching pillow. 2. Spring Clean Your Craft Room – Getting organized and making your space special to you is important. 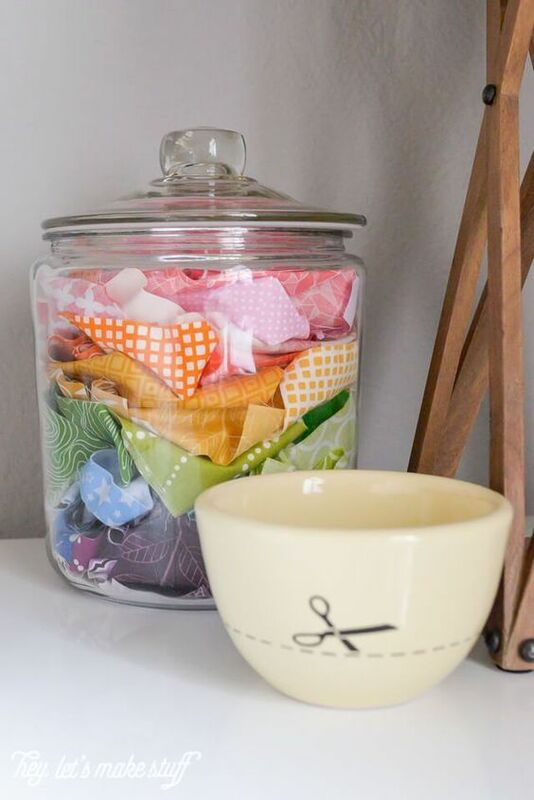 Our “Sewing & Craft Rooms” Pinterest board is filled with ideas & inspiration for helping you figure out where to start. Picture below is from ~ Hey Let’s Make stuff. 3. Bake a Cake ~ Move over carrot cake there’s a new cake in town! 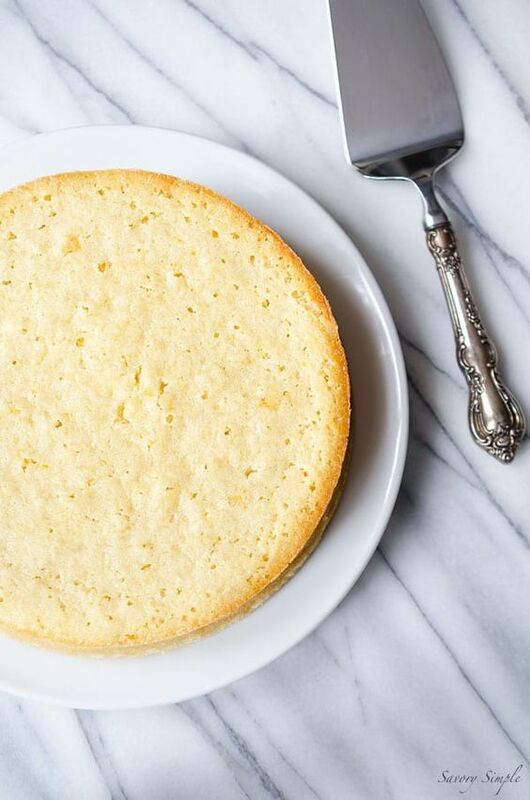 This Pineapple cake from “Savory Simple.net” is simple, light and perfect for Spring. 4. 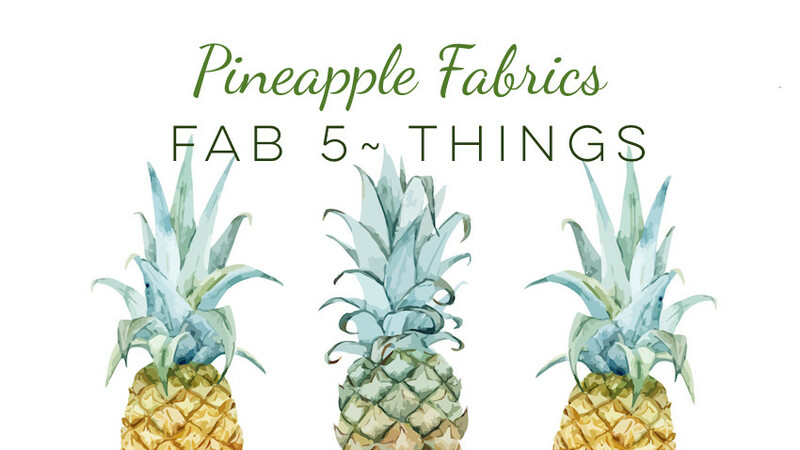 Sew an English Garden ~ This fresh new Pineapple Pack shouts out to spring. The Diana pack English Garden is made up of fabrics by Rifle Paper Co. 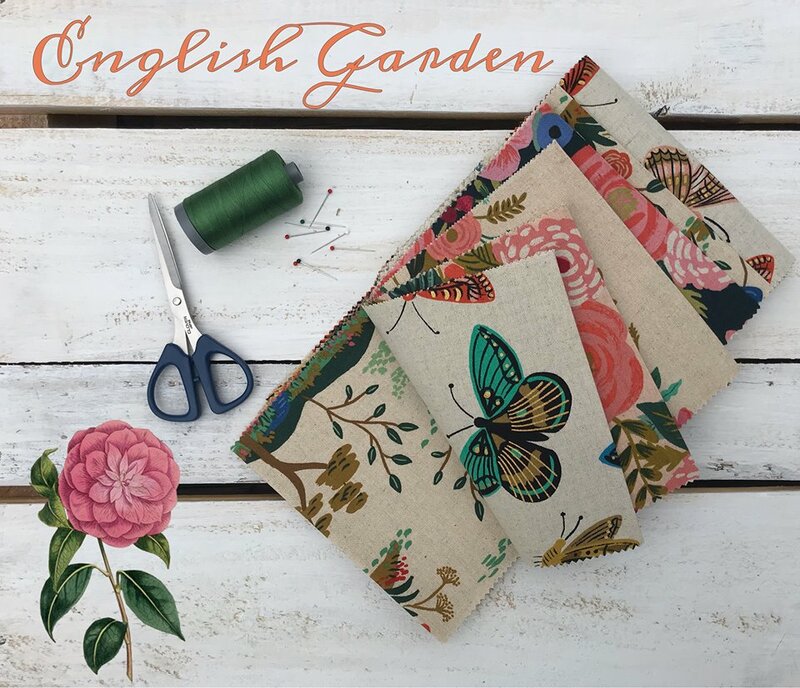 These five linen fabrics are lovely scenes of the English countryside and floral prints. *free pattern comes with pack purchase. 5. 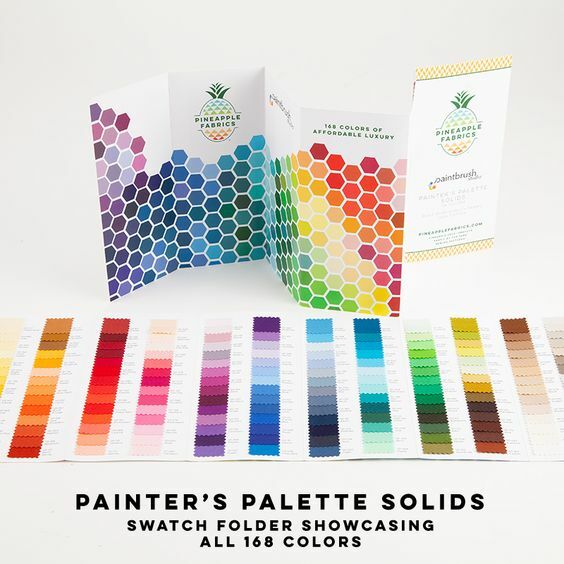 Get To Know Painter’s Palette Solids ~ A 168 Swatch Color Brochure to use for referencing while shopping for solid fabrics by the yard. Your biggest problem will be which one’s to choose! We hope you have fun with these ideas ~ Good luck with all of your projects! From our Pineapple Family to yours create, make and be happy!